Mother Nature must follow this blog, for just as soon as I made the claim that no new species were left to be found at Shandy Hall she threw not one, but two new varieties our way. It’s more exciting than I could have imagined and I feel a bit like an explorer, even though I haven’t gone any further than the garden perimeters and have done nothing out of the ordinary. But nature works in unpredictable ways, and I’m simply grateful that I got to experience this once during my time here. 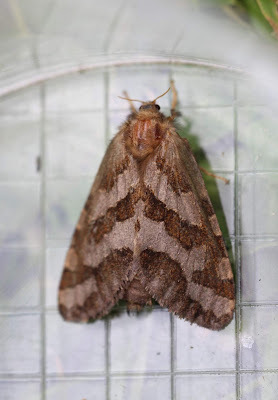 It took us a while to identify this moth as a Gold Swift (Hepialus hecta) – probably because there isn’t any gold on it. 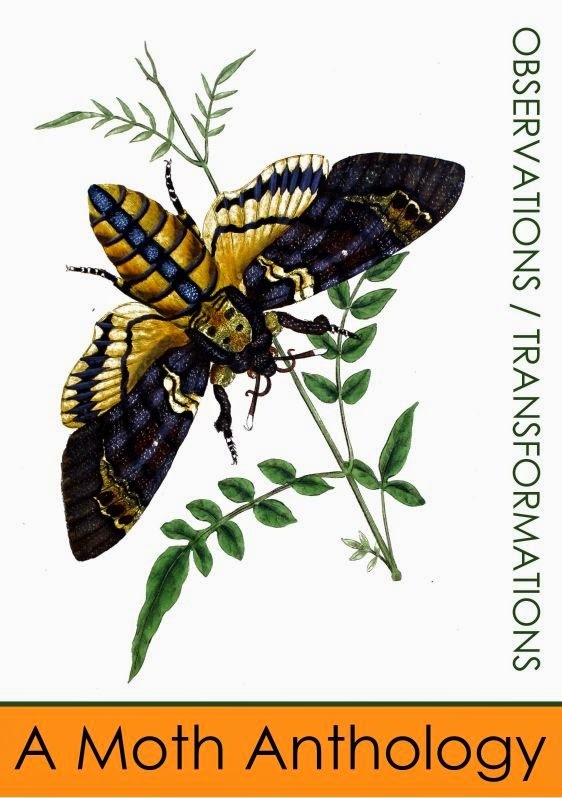 When we finally did make an identification, it was only with the help of the wonderful Mr. Charlie Fletcher, as we mistook the moth for a strange variation of a Map-winged Swift. It turns out the female Gold Swift is considerably duller than her male counterpart, as is the case with many birds and insects. The male Gold Swift spends his time flying around at dusk, spreading his pheromones into order to attract females with his pineapple like scent. Interestingly, the female disperses her eggs while in flight, across the bracken which is its main foodplant. 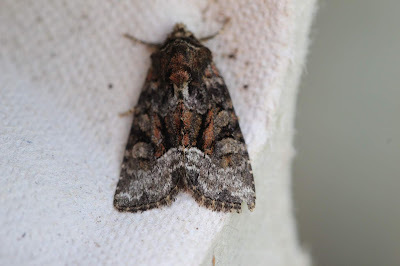 Its scientific name is a little overemphasised, with both “hepialus” and “hecta” meaning feverish and hectic on account of its erratic flight patterns. The illustrations of the Gold Swift show the clear distinction between the male and female of the species - we will keep our eyes open for the male. The second new species is the Rufous Minor (Oligia versicolor). It’s a tricky moth to identify, because there are two other species that closely resemble it: the Marbled Minor and the Tawny Marbled Minor. These two species can only be told apart through dissection, but this Rufous Minor is distinctive enough that such measures aren’t necessary. What distinguishes it are those pale brown oval and kidney-marks, and the reddish brown tufts on its thorax. It flies from June to July and can be found throughout England, Wales, and southern Scotland –although it is most likely under recorded due to its resemblance to the aforementioned breeds. And with that the number of species at Shandy Hall reaches 429! Exciting times!